Pekon Hujung is a village situated in the slope of Mount Pesagi which has typical architecture of West Lampung District. Its nature, culture, and traditional architecture are the enticements for tourists. 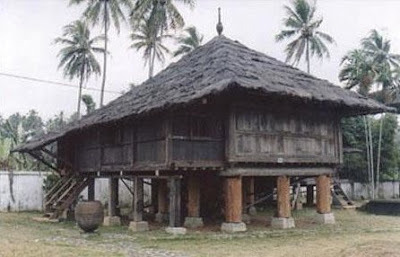 Since 2005, the village was planned as one of tourism destinations in Lampung Province. Thus, the local government refurbished the access to the location so that it can be accessed by car. Moreover, the local government also planned to build some guesthouses for visitors who want to take rest around the location for several days more. “Rasakan Keaslian Hidup di Pekon Hujung” (Feel the nature living in Pekon Hujung) is the motto of the village. Its location in the slope of Mount Pesagi is the place where Kebut Pesagi celebration is held annually. Here, you can feel the tranquility of surrounding area which has fresh air and alluring nature. Pekon Hujung is located in Belalau Sub-district, West Lampung District, Lampung Province, Indonesia.